Well, the sides finally stuck back together. 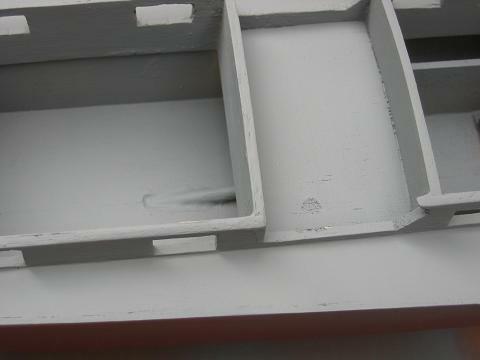 After a week of drying! and following advice from wiser heads, I gave it an external coat of thinned varnish rather than more sanding sealer...! And note where the spray didn't reach last time! 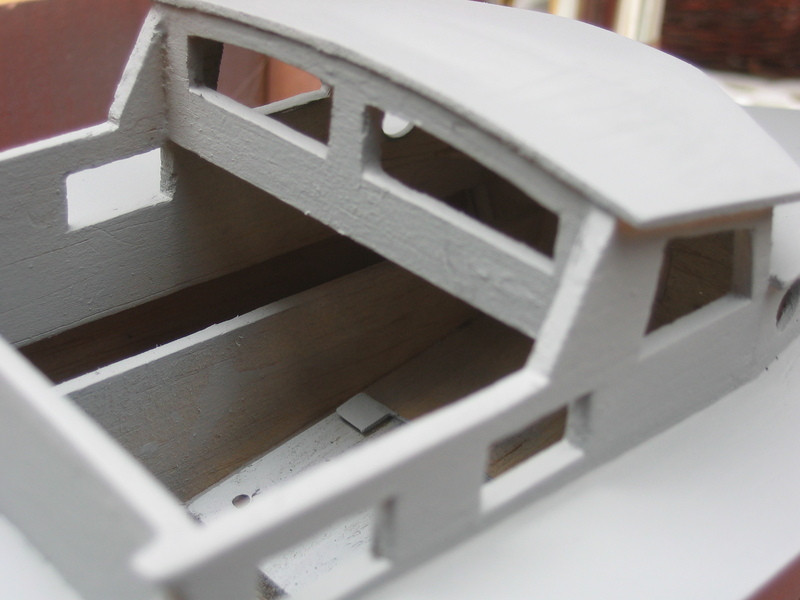 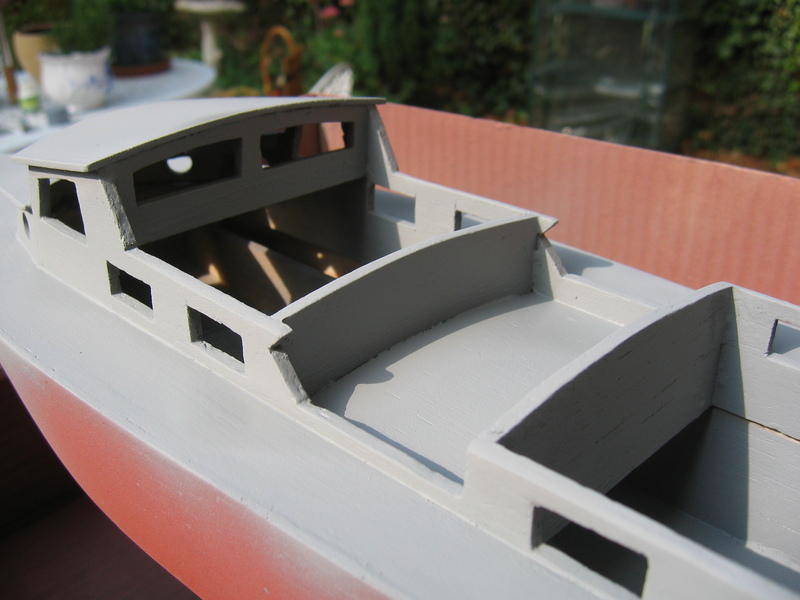 and we can soon see the places I missed sanding! We use fine sandpaper to finish the surface. 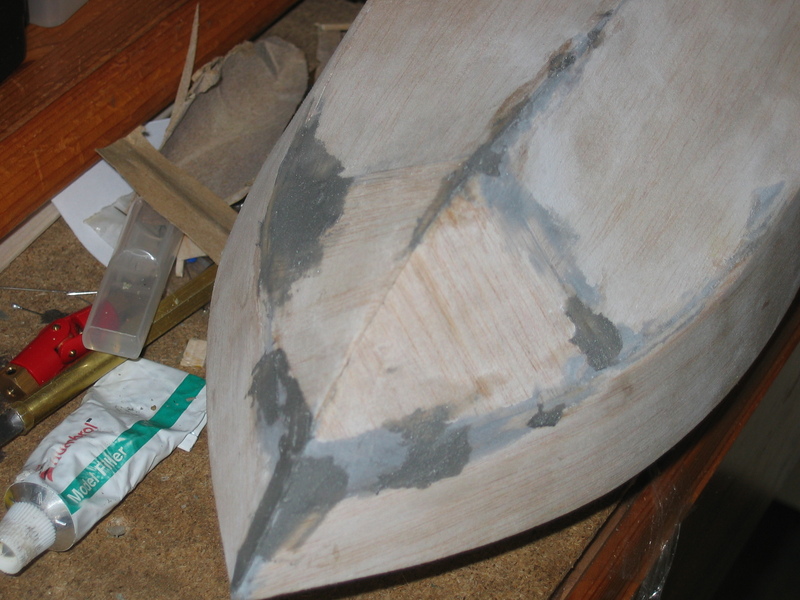 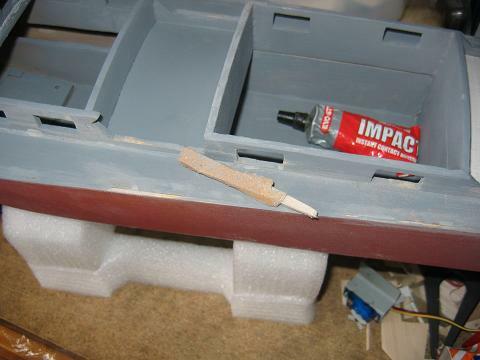 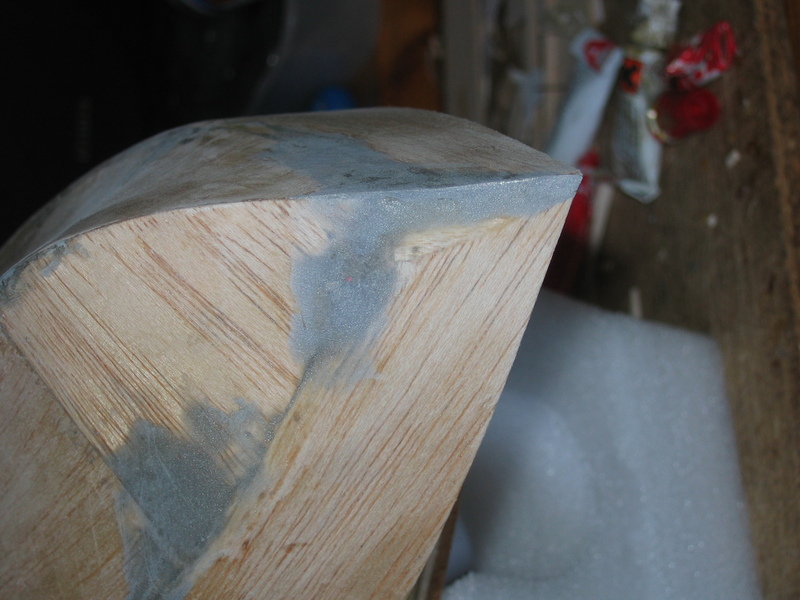 Glue a little sandpaper on a bit of balsa with impact adhesive to make an instant finishing file. 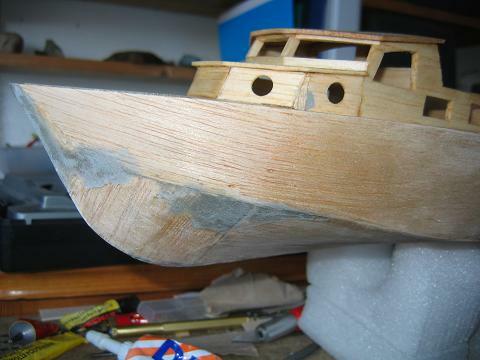 You cut the balsa to the smallest of the window dimensions and you have a tool specifially adapted for the hull you are working on. 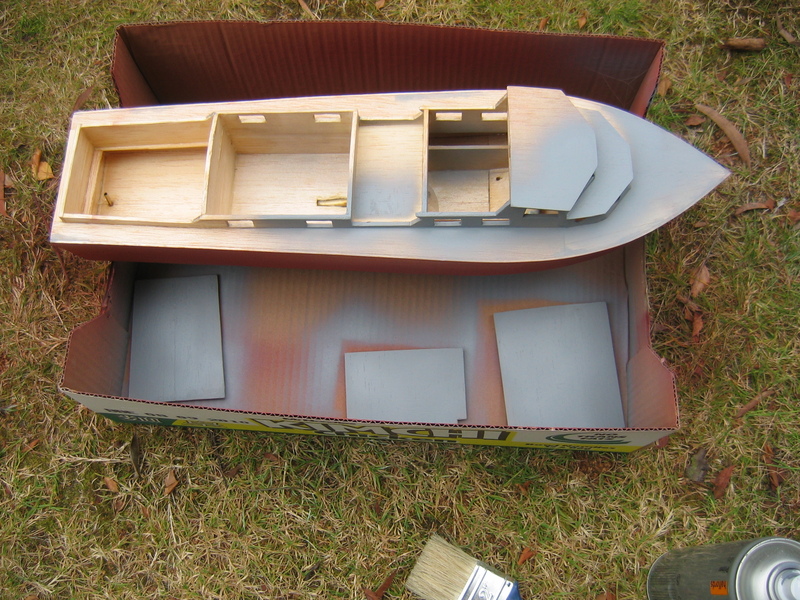 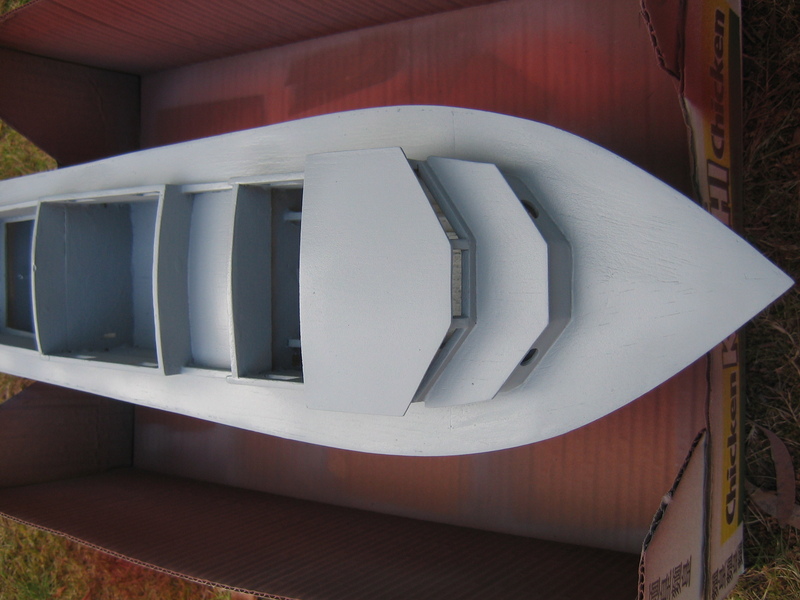 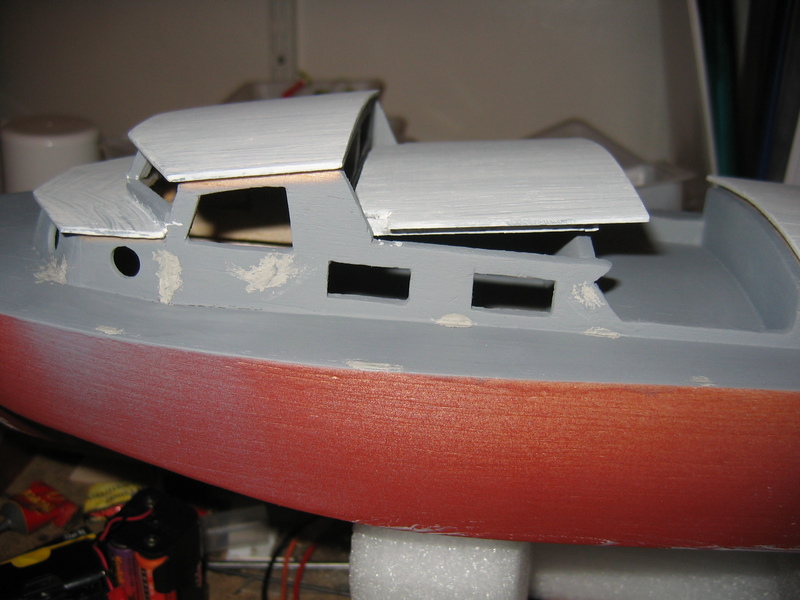 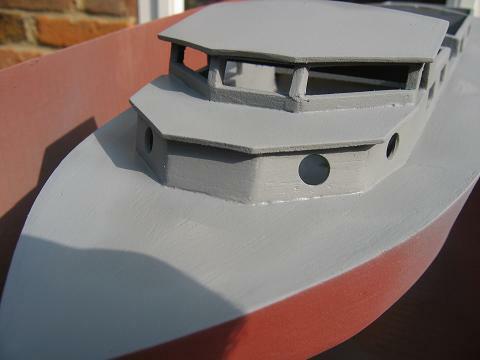 It's looking a bit more like a hull now. 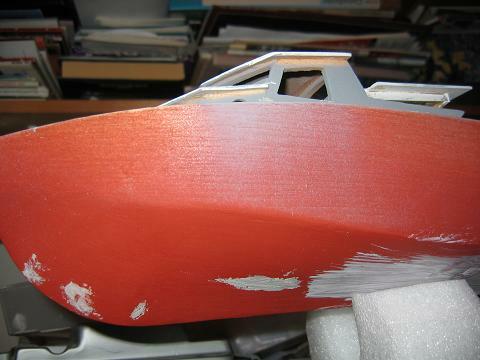 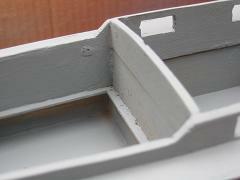 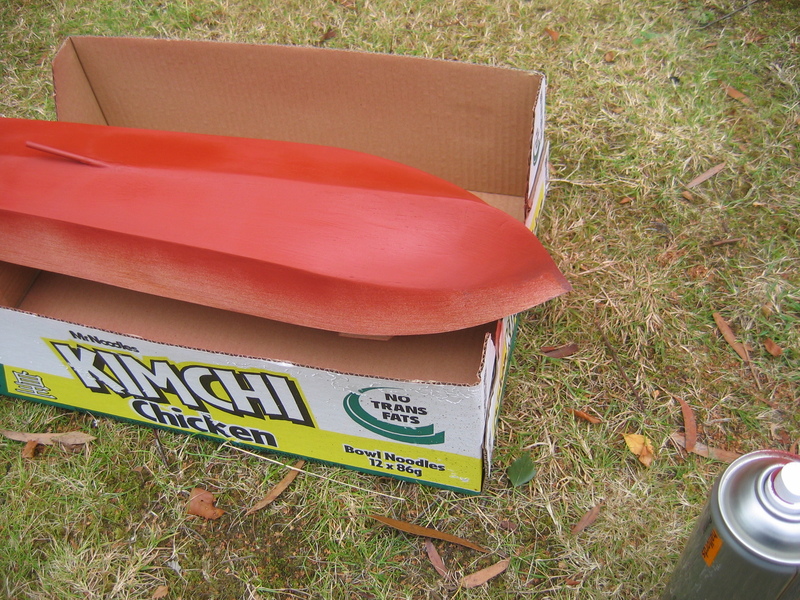 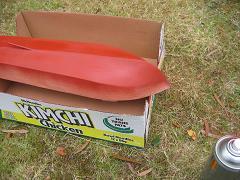 But there's still some smoothing and re-spraying to do on the edges.